Mary Eugenia McDonald the daughter of Loraine Anthony McDonald and Frances Philomena Selker was born January 22, 1922 in Strattanville, Clarion, Pennsylvania. The family relocated to Erie, Erie County, Pennsylvania in the 1920's. 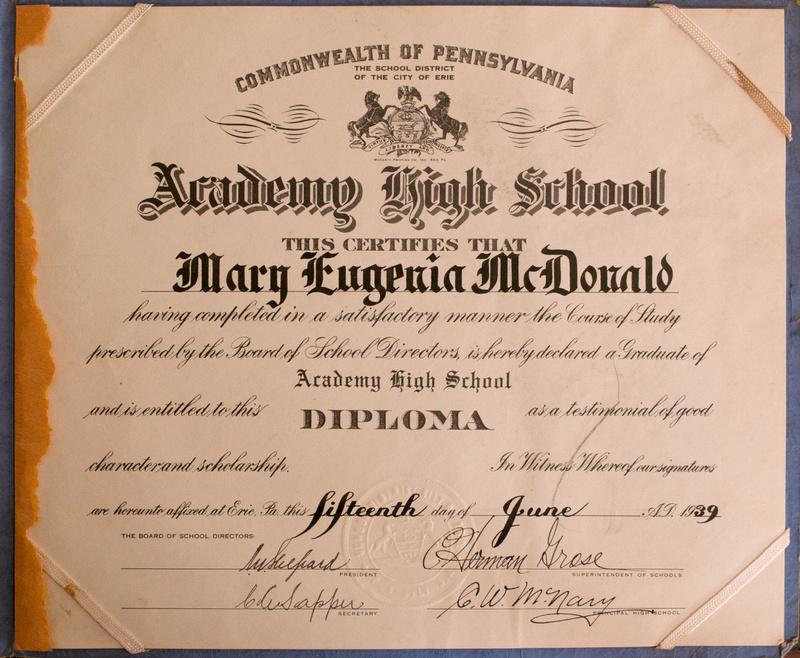 Mary Eugenia attended Academy High School in Erie, Pennsylvania and graduated on June 15, 1939. She was 17 years old when she graduated from high school. 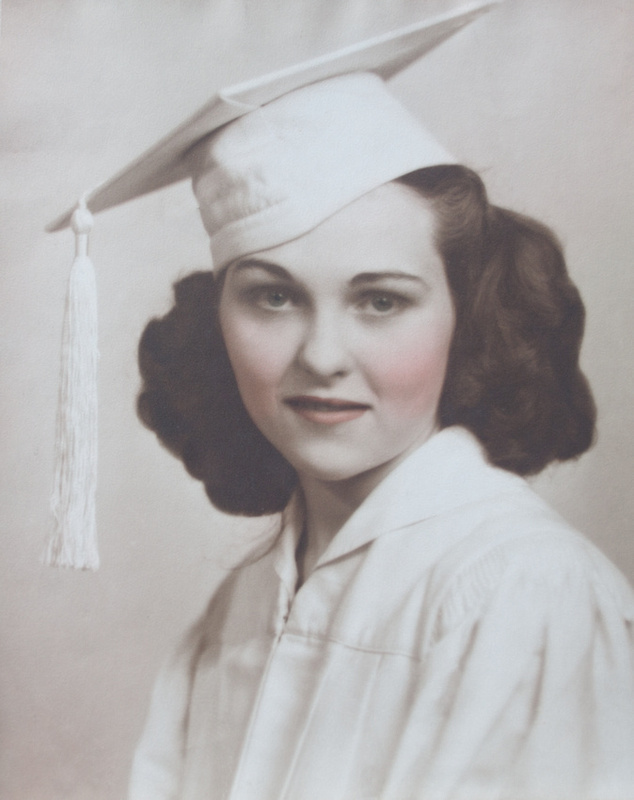 A copy of this photograph and Mary Eugenia's diploma were included in the Frances Philomena Selker Collection. Photographer Unknown. 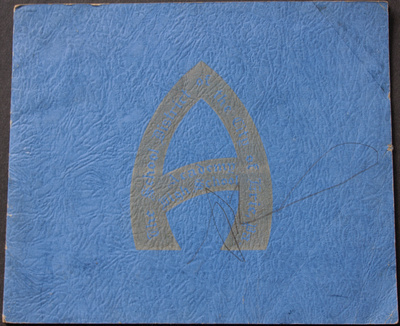 Editing and digital restoration by Michelle M. Murosky. Mary Eugenia McDonald is my paternal grandmother.